A MEATH MAN who drove a van straight at a garda at high speed forcing him to jump out of its path to escape serious injury has been jailed for three years. The sentence hearing of Cornelius Price (35) heard how the fear the garda felt in the wake of the incident at Balbriggan garda station caused him to consider leaving the force. Price of Rockleigh House, Richardstown, Gormanstown, Co Meath, was found guilty following a trial earlier this month by a majority jury verdict of one count of endangering a garda at Balbriggan Garda Station, Co Dublin on 22 January 2014. Price had pleaded not guilty at Dublin Circuit Criminal Court to recklessly engaging in conduct that created a substantial risk of death or serious harm to Garda Gary Dillane. 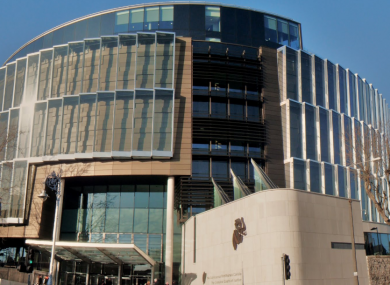 Yesterday, Judge Patricia Ryan noted that it was an aggravating factor that the offence had been committed against a garda acting in the execution of his duty and took into account the effect the offence has had on him. She noted in mitigation the efforts Price had made during his time in custody in relation to education achievements and voluntary work. Judge Ryan said the court was taking into account the effect a custodial sentence would have on his family and noted he had already spent ten and a half months in custody on a separate charge of threatening to damaging garda property of which he was later acquitted. She imposed a sentence of three years imprisonment which she backdated to the date of his conviction on 17 February last. Sergeant Mark Buckley told Diarmuid Collins BL, prosecuting, that Garda Dillane and Garda Sean Caffrey were in the car park of Balbriggan Garda Station around 9.30pm on the night in question when they saw two vehicles driving at high speed. The gardaí recognised Cornelius Price as the driver of the van and said he appeared “aggressive and dangerous”. As a result, Garda Dillane, who was in full uniform, decided to stop the van. While standing in the car park, he raised his hand and shouted “stop”, however Price “continued to drive straight at him,” Sergeant Buckley said. Garda Dillane jumped out of the path of the van, hurting his leg when he fell. “He would have been struck and seriously injured if he had not jumped out of the way,” Sergeant Buckley said. Price continued to drive on and was pursued by both Garda Dillane and Garda Caffrey, but they were unable to catch him. The driver of the Hyundai was brought to the station for a statement. When he was arrested later, Price said he had not seen the guard. In a victim impact statement read out in court by Sergeant Buckley, Garda Dillane said he that after the incident, he realised he could have been killed. Garda Dillane said he considered handing in his resignation before deciding to stay on. But he said he continued to get “flashbacks and chills” when he went to Balbriggan. “This is one of the most terrifying incidents I have ever encountered,” he said. The court heard Price has 18 previous convictions, including careless driving, public order offences, assaults and hunting without a licence. Defence counsel Tony McGillicuddy said Price, a father-of-two, was born in Manchester and moved to Ireland at the age of 11. He received little or no education after that. He worked for a period collecting scrap metal but was no longer working. He said that Price did not drink or smoke. McGillicuddy said that Price’s partner suffered from depression and as a result he took on parenting duties when she was unable to do so. He also had relatives who suffered with ill health. He submitted that Price’s time in custody would be a loss to his family and children. At the start of the trial, Judge Ryan had issued a warning against contempt of court after the prosecution counsel said an “individual” had been spotted taking photographs of the prosecution legal team and prosecuting gardaí outside the courtroom. Email “Meath man who drove van at high speed at garda jailed for three years”. Feedback on “Meath man who drove van at high speed at garda jailed for three years”.